If you are pregnant or breastfeeding, no reputable tattoo/piercing studio will tattoo or pierce you for a reason. Anything that is in your body can be transferred to the fetus/infant. This includes infection. I feel this is important to blog about because I recently had a lady come to my studio for a piercing. I would NOT pierce her because she was still breastfeeding. She said she had never heard that if she gets an infection, it can affect the infant. But, it is a fact. I went online to research and see what others have been saying about it. What I found was people saying it is fine as long as you go to a reputable tattoo/piercing studio so you don't get an infection. I was beyond livid!! That is THE WORST information ever!!! Infection rarely if ever comes from the initial piercing. In other words, the piercer does not cause the infection just because the pierce you. Unless of course you are in a shady studio or a home. Infection is caused from bacteria. Hands are the number one carrier of bacteria. 99% of infections in piercings happen because the client (the person who got the piercing) TOUCHES the piercing site!!! You should never touch your unhealed piercing. Not for any reason. And certainly NOT TO TURN THE JEWELRY!! Turning jewelry in an unhealed piercing is a big NO NO. People are all about immediate gratification. They don't want to be told what could happen. But, piercings take MONTHS to heal!! Sometimes even up to a year!! That's just the way it is. A piercing is a deep puncture wound. Air can not reach the deep inside tissue. So healing is arduous. Here's the kicker...As long as you have an open, unhealed wound; that wound can get infected. So, if you have a piercing for 4 months and it is not completely healed....it can get infected!! THAT is why getting a tattoo or piercing while you are pregnant or breastfeeding is a bad idea. I have attached information from a hospital. 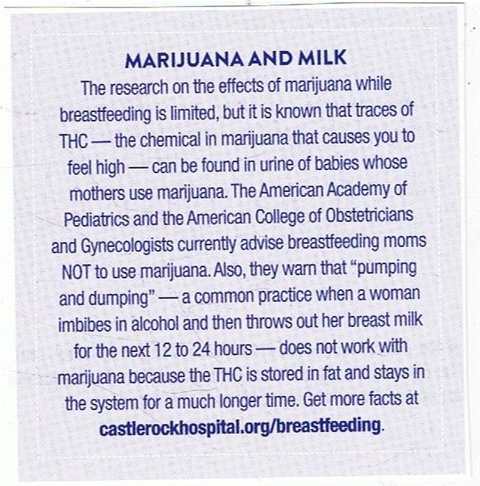 A study was done regarding the mother SMOKING marijuana while pregnant or breastfeeding. 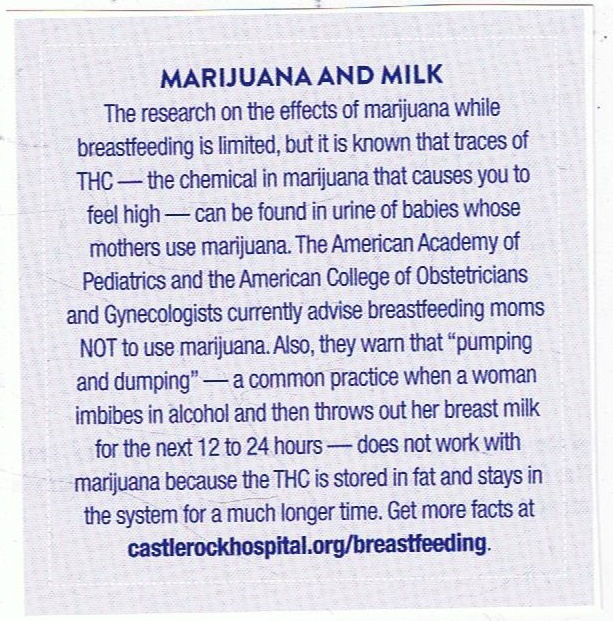 THC was found in the urine of infants of mothers who smoked marijuana while breastfeeding. If you are pregnant or breastfeeding. Don't even consider a body modification. It's not worth the health of your child.